The Dodge RAM is already firm atop the pack as the king truck on the road. However, this 2019 RAM 1500 is by far the best offering the company has produced. Powerful, beautiful, elegant, and versatile, this truck is the only option for pickup enthusiasts and heavy workers alike. This is in part due to the available Hemi engine offered at the top of Dodge's models. However, regardless of the engine you select, this truck redefines what it means to feel power on the open road. 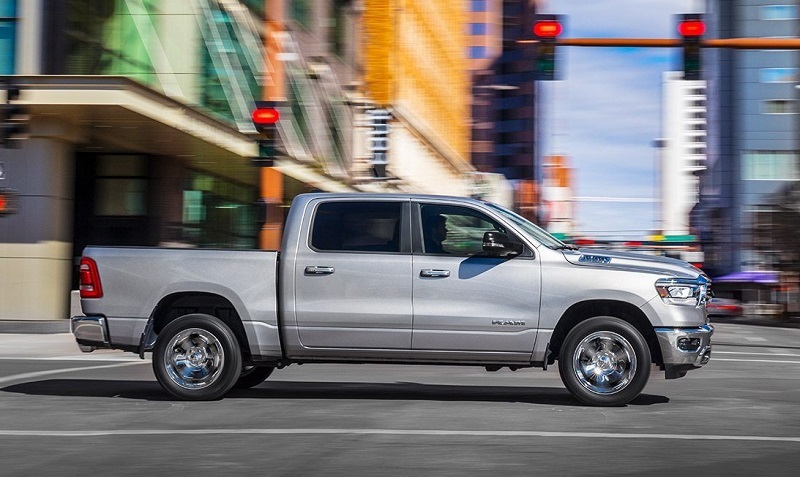 If this seems like a truck you are interested in and you want a 2019 RAM 1500 in Albuquerque, then make your way over to Melloy RAM, the top dealership serving Albuquerque Santa Fe Los Lunas New Mexico and endorsed by the Albuquerque Truck Guide. One of Dodge's biggest upgrades to their 2019 RAM 1500 is the body. It is now sleeker, with a sculped hood and new grille design that features an active grille shutter and an active air dam that is deployed automatically at high speeds. The hood is also supported by all new LED Headlamps. The aluminum tailgate is fitted with an integrated spoiler, new truck badge, and a redesigned logo. This new body is not all for looks, however. Dodge promises increased aerodynamics with the sculpted frame working to fill the box with air to assist the truck in moving. This new frame comes together to give this truck the lowest front drag coefficient in its class at 13.0 CdA. As one of the most technologically advanced pickups on the market, the stunning interior of this truck combines modern technology that allows you to connect all of your devices with ease and their unique fourth-generation Uconnect system. The available 12-inch touchscreen is the largest offering in the class. Beyond providing full-screen navigation that guides you to your destination with ease, it also comes with SiriusXM and the option to stream video to give you hours of entertainment. There are active-tuned mass modules mounted to the frame to provide the best interior quietness in its class. Another stunning available option is the dual-pane panoramic sunroof to give you a perfect view of the sky above. For more information on the interior features, contact your salesmen serving Albuquerque Santa Fe Los Lunas New Mexico. One of the best features of this stunning truck is the 98 percent steel frame, featuring all new dampers that respond automatically based on the input. These dampers self-adjust to be softer, quicker, and more aggressive based on the slow undulations. With the four-corner air suspension standard on the Limited model, the driving is smooth and predictable. Engine choices for this 2019 RAM are the same as before, with two powerful beasts under the hood: the 3.6-liter Pentastar V6 or the 5.7-liter Hemi V8. However, in this model, both of the engines can come equipped with the optional new eTorque mild-hybrid technology. This technology combines the belt-drive motor generator with a 48-volt battery for the enabling of the engine stop-start function, short-duration torque assist, and brake energy regeneration. For the V6 engine, it also adds an additional 90 pound-feet of launch torque. This is increased to 130 pound-feet of torque on the V8 Hemi engine. This truck is much lighter than the previous generation, 225 pounds lighter as a matter of fact. It's total of 395 horsepower and 410 pound-feet of torque make it a force to be reckoned with. This truck is also supported by the super intuitive TorqueFlight eight-speed transmission that makes it super easy to control, even when towing the massive 2,300 pounds of rear payload without the trailer. With a trailer attached, this number reaches upwards of 12,700 pounds of possible towing power. In all, everything about this truck's powertrain screams power and durability. Dodge promises over 100 standard and available safety features on their new RAM truck. These include the new Blind Spot Monitoring with Rear Cross Path and Trailer Detection that scan the blind spot zones the driver cannot see behind their truck to provide assistance with maneuvering, while at the same time automatically sensing and taking into considering the length of the attached trailer. There is also the available LaneSense Lane Departure Warning - Plus that prevents lane drift through visual alerts and automatically guiding the vehicle back into position. Adaptive Cruise Control with Stop and Go is able to detect vehicles in front and increase the breaking when necessary in slow traffic. Forward Collision Warning is also available with Advanced Brake Assist to help you adjust with automatic control to a safe distance. Guided parking options include the Parallel and Perpendicular Park Assist. Beyond all this, the available 360-degree Surround View Camera gives you a complete view of the entire surrounding of the vehicle to assist with everything from parking, loading, and unloading, to hooking up a trailer. 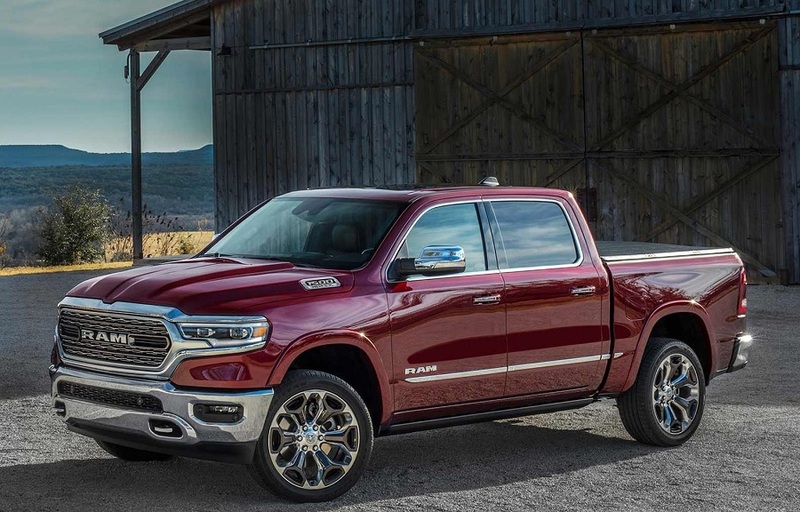 If these features interest you, and very well they should, and you want to purchase a 2019 RAM 1500 in Albuquerque, make your way over to Melloy RAM today. The best dealership serving Albuquerque Santa Fe Los Lunas New Mexico is also endorsed by the Albuquerque Truck Guide	to give you all the answers you need about this amazing new vehicle. Test drive one now and see what all the hype is about!